For your business to be successful, your sales team needs to do more than just sell your product or service. They need to sell your business at its essence – its identity. Force #4 of the 7 Forces of Business Mastery is Sales Mastery Systems. The identity clients associate your sales team and your company with determines their belief on the quality of what is being sold. There are five steps you can take to create a unique identity for your sales team. Don’t underestimate the power of your company’s identity. Perception is everything and a powerful and unique identity is the ultimate competitive advantage. This will make you stand out and will make your brand top of mind with clients. What do you bring to the table? What value do you add? What unique element will you give that is about and beyond the product you represent? Be descriptive so client truly understand the power of your product or service. Speak the same language as your clients. Relate to them. How will your product or service fulfill their need? Why are you the best choice? What are the reasons people should buy from/invest with you instead of someone else? Walk your talk. If you are going to promote a certain identity, you need to follow through on it at every level. Every person in your organization needs to embody this identity. When your internal clients are raving fans, that will project onto your external clients. Promote your identity so that people seek you out instead of you seeking them out. Meet them where they are in the marketplace and provide more value than anyone else. 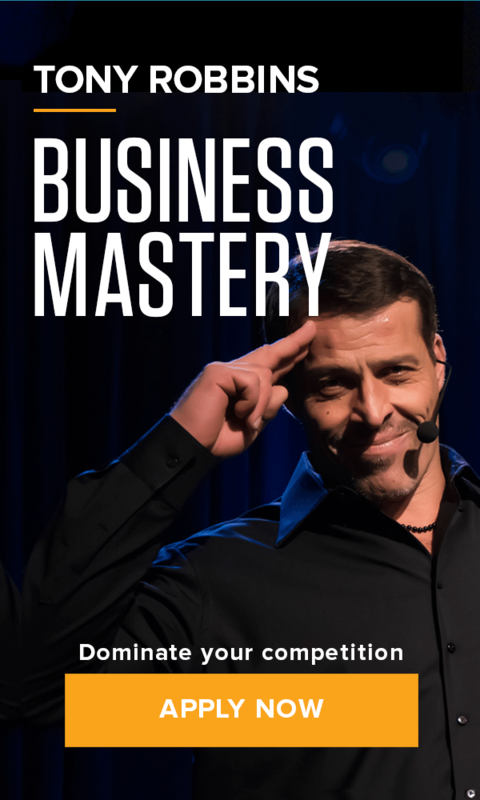 At Business Mastery, learn directly from Tony how to constantly optimize your sales. Once you have a dependable and powerful sales team, your business will experience incredible growth.